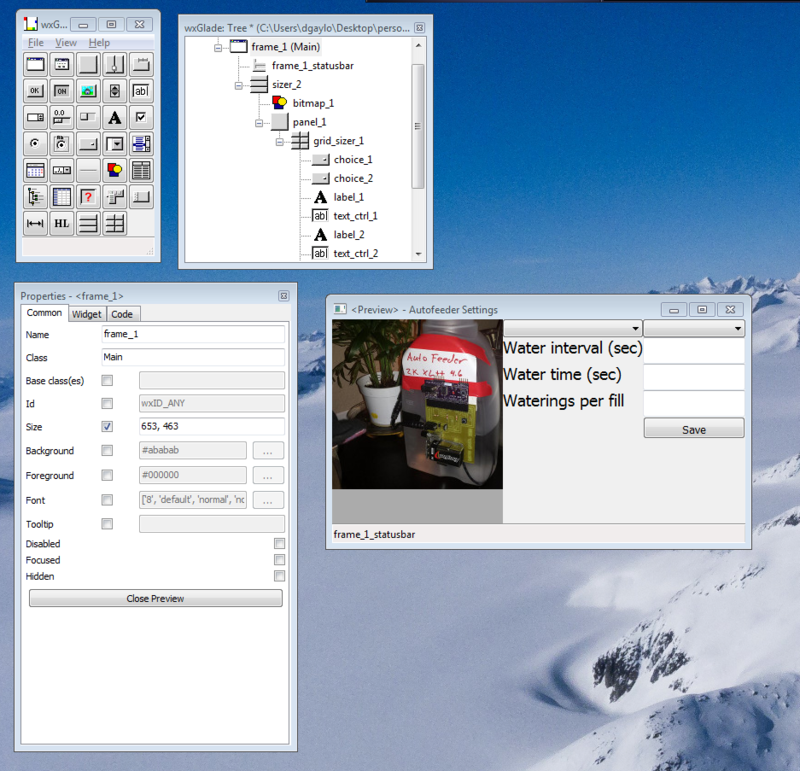 I was playing around with python and a GUI for a simple plant watering setup I hacked together and I stumbled upon wxGlade. 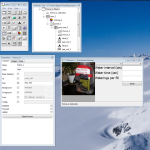 wxGlade is a GUI maker for wxWidgets and can output in C++, Lisp, Perl or python. So far it’s seems pretty cool, I just made a quick test with an image and some text boxes. Attached is the code with an extended class to implement functions.